A few weeks ago, I was contacted by eShakti asking if I'd be willing to do a review for them on one of their products. I've seen other bloggers out there reviewing their beautiful dresses and skirts and I was so excited to choose one of my own! eShakti is an online company specializing in women's fashion clothing. Their sizes range from 0-36W as well as doing custom pieces made to your measurements. You are also able to customize your item to your specifications: you can change the neckline, sleeve length, overall length of the dress, and remove pockets and other embellishments. It's pretty neat! Essentially, two people can order the exact same dress and have it be completely different! I also love that a lot of their designs have a 50's vintage feel to them. Very unique compared with all the same types of dresses you find in stores nowadays. 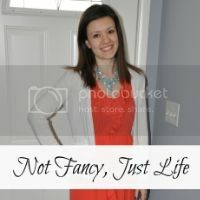 When choosing a dress to review, I knew I wanted a fun dress for the summer; there were so many cute styles to choose from! I ended up getting the Sharon Dress in yellow. I measured myself to check what size I would be and it ended up being that my lower half was one size while my upper half was one size smaller. Rather than choosing the larger of the two sizes, I decided to upload my measurements to get a custom piece created. I was super nervous about this because I've never got a custom piece made before! But it fit very well! I was very impressed! I decided to keep the pockets, because who doesn't love pockets in a dress! I decided to leave the neckline as listed, but got the dress knee-length instead of below the knee. There is a *special promo code for Not Fancy, Just Life readers for the month of May: 10% off your purchase with the code 'fancylives'! The code is valid now through May 30th. Make sure you take a look at eShakti on Facebook and Pinterest too! *Code has to be entered in the ‘promotional code’ box. It is not case-sensitive. Oooh the yellow is so pretty on you! 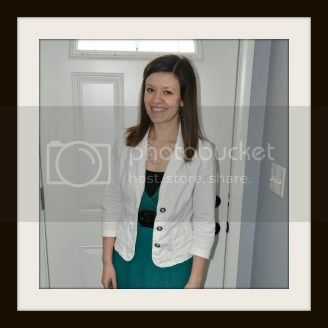 I love eShakti - I think their clothing is so pretty and it doesn't get much better than a custom fit! This is so pretty! I agree about the cotton being wrinkly. That's so frustrating when I sit at a desk all day and then go to take pictures. Adorable and I love the pockets! Super cute! I have a yellow dress coming from them, too! I'm super excited! Yours looks great! Thanks Becky! I love this dress and I definitely think I'll be ordering from them again! Yellow looks so good on you! Cotton does get wrinkly so easily, but I love wearing it when it's really hot out because it breathes so much better than wrinkle-free fabrics! Thanks Rachel! That's true about the fabric- if we have another summer like last year, I'll definitely need it! LOVE it!!! It's so adorable!!! that is such a pretty dress - i just love the shade of yellow, it looks great on you and paired with your cobalt blue cardigan! what a great selection from eshakti!